El Numero Uno is a family-style Cuban restaurant that has been serving Orlando for over 30 years. (33 to be exact, I know since they opened the year that I was born.) They offer dine-in, take-out, and catering services. They serve a wide range of traditional Cuban dishes such as ropa vieja, pollo asado, Cuban sandwiches, etc. 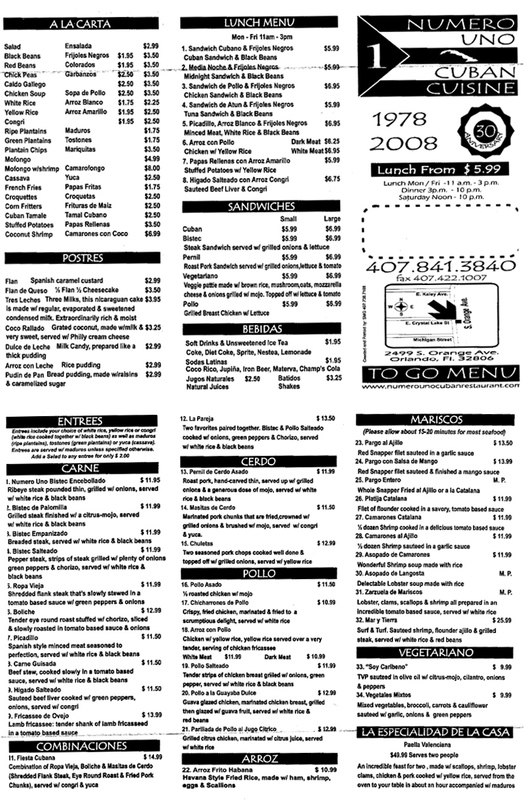 Click here for the complete menu. Soft traditional Cuban bread and butter is served with dinner. There is a wide selection of drinks, including wine (although they recently shortened their wine menu - it used to be literally pages long - and the pages were huge), beer, fountain drinks, and sangria. I do love traditional Cuban food and I actually have a few favorites here in the Central Florida area. My last craving for Cuban food led me to El Numero Uno, located at 2499 South Orange Avenue. Their menu is large, divided by protein (vegetarian options available), and numbered by items. My "usual" is the #14, Masitas de Cerdo or marinated pork chunks that are fried, brushed with a tangy mojo sauce, and served with grilled onions. It is typically served with yuca (boiled and served with an olive oil and garlic sauce) and congri, a mixture of white rice and black beans. 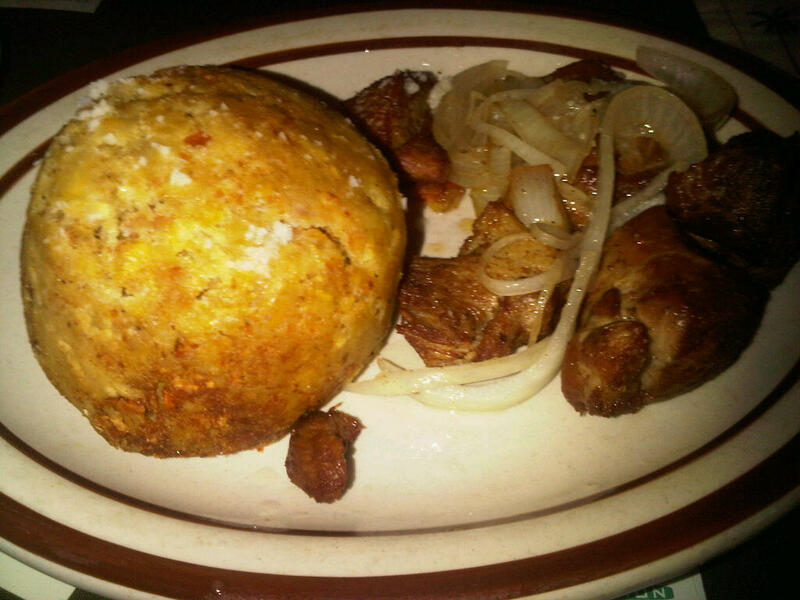 This time, I decided to try their mofongo instead of the yuca and congri. My dinner companion had #16, pollo asado, a 1/2 roasted chicken, also brushed with mojo sauce. The chicken was perfectly fried and was served with black beans, yellow rice, and yuca. The chicken was tender on the inside. The portion size was more than enough. All in all, another delicious #16 experience for the both of us. El Numero Uno is definitely an Orlando jewel. It is quaint and can be suitable for a date, dinner with friends, or dinner with family. It is kid friendly. I have even celebrated my birthday there before and I seem to recall live entertainment on the weekends. Lunch is served 11 am - 3 pm and prices begin at $5.99. Dinners are around $12 each.